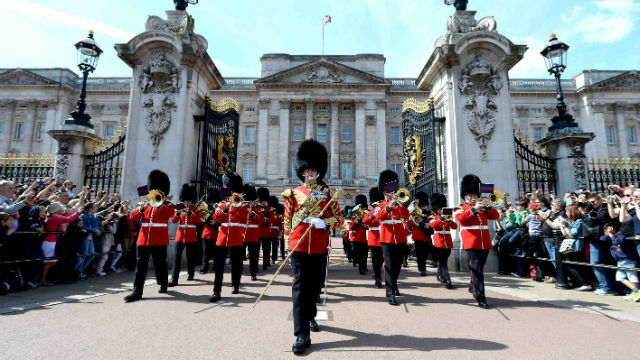 Changing the Guard, takes place outside Buckingham Palace from 10.45am and lasts around 45 minutes, with the actual handover taking place at 11am. The Buckingham Palace Old Guard forms up in the palace’s forecourt from 10.30am and is joined by the St James’s Palace Old Guard at around 10.45am. The New Guard then arrives from Wellington Barracks and takes over the responsibilities of the Old Guard in a formal ceremony accompanied by music. The guard that looks after Buckingham Palace is called The Queen’s Guard and is made up of soldiers on active duty from the Household Division’s Foot Guards. The guards are dressed in traditional red tunics and bearskin hats. The ceremony is free to watch.